Imagine your Power intake to your rack has failed, imagine your UPS has kicked in but is about to run out of power, you need to quickly shut down all of your virtual infrastructure…. quick run ! Or, you could let PowerCLI do the work for you and help you safely shutdown your entire virtual infrastructure, you could even tell your UPS software that when it gets to a certain amount of battery life left that it needs to run this script to safely shut things down. If that happens then the guests never actually shut down and we are left in limbo waiting for the guests to “safely” be shut down, As you will see from the below script, I have added not only a check to see if the VMs are powered off but also a fail safe time where it just goes for it and shuts down the hosts anyway. I’m sure I don’t need to tell you that you need to be extremely careful when testing this script as one false move could shut down everything ! – Please test this to make sure it works first ! * Just to mention, this will obviously not work if your virtual center is a VM, for that you will need to do some funky connecting to each host etc, let me know if you desperately need that. What would you have to do in the case that your virtual center is an actual VM? I’m a network engineer by profession so I’m trying to teach myself how to use Powershell and PowerCLI on my own. Any help is greatly appreciated. and if i wanted to set the ESX in maintenance mode first? would it be better, and how to do it?? your sctipt is very interesting. I also have a similar solution. My vCenter enables a VM and I do not know how to turn off the infrastructure. Maybe you have an idea? Write "Waiting for shutdown of $numvms VMs or until $waittime seconds"
Actually with a little help from Mike Foley, I have it figured out. The important piece is the -ExecutionPolicy RemoteSigned. I think I had to set the APC service with elevated permissions. Then I had to do a “double bat”. APC event “command” that calls a batch file to run a second batch file to start the powershell script. For starters, I think PowerCLI only has write access to ESXi. So not sure how you got it to work at all? Are you logging the output of the powershell script execution? I’m assuming the APCUPSD will be running under a different account than when you run the bat file manually? So permissions would be a place to start? I am using a modified version of your script to gracefully shutdown my vSphere 5 ESXi environment. I am using APCUPSD to monitor my UPS from a Windows 2008 R2 server. My problem is this – if I double click the .BAT file it works just fine (the Powershell runs and the ESXi VMs and hosts shutdown nicely), but the Powershell never gets run during an actual event, although the .BAT file IS run. The before.txt and the after.txt DO get created during an actual event, but the PowerShell does NOT happen. Nevermind — I had changed the wait time, and it was looping at 65 secs, I changed it again and all is well. Thank you for a great script! Hi, for those VMs that do not have MVtools, they will cause the script to wait, and not shut down the host. I’m setting up this script to trigger on heat or water in server room, so want things off, how would I set it so that it does a hard shut down of any VMs that have hung? I’m going round in circles with this script. I just want to stop all VM’s in a RP and not get a warning if they are already powered off. Any help much appreciated. I’m not using $host as a variable. 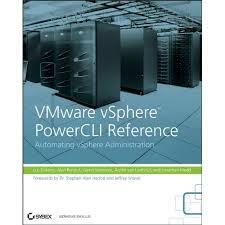 The PowerCLI admin manual on pg 14 is. So obviously it’s another VMware error? Also be aware that any shutdown will not work on ESXi. As They have disabled write access to the host. So I’m in the process of writing a shutdown application to get around this new limitation and will be posting on my blog when done if anyone interested. it shows “already exist.no need to add”.and no output from get-vm cmdlet. I’m looking at shutting down a ESXi host with running guests. The guests should get automaticaly shutdown by the host if configured correctly. So just need to shutdown the host cleanly. Also need to shut down another FreeNAS box, but that’s another story. Any one got any idea what the $h is? Cannot overwrite variable Host because it is read-only or constant. I've already established connection to the host by way of Connect-VIServer. Yeah, you shouldnt use $host as a variable as this is a reserved variable, type $host in PowerShell and you will get information about the current powershell session, I would change the $host in your script to $h as you are then calling $h on the next line. Thanks for the script, it’s just what I was looking for. the return value of get-vm is empty !although the get-vmhost work perfectly. i register the script to taskschd.msc with checking “run whether user is logged on or not “. could tell why the return value of get-vm is empty ?thank you. Looking for help on a script that will check all vms on a host and if only one VM is remaining running and that VM has a specific name, then that VM is shut down so that the DPM will suspend the host. Any ideas? I am looking for a way to implement shutting down ESXi hosts using a VMA. 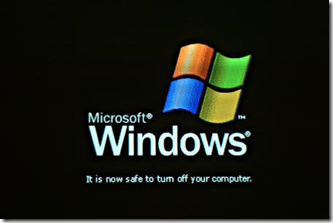 I have tried ghetto shutdown script but it waits for each guest to shutdown before continuing to the next. Has anyone found a better solution for VMA and ESXi (paid)? or if you want to shutdown all esx as well do not shutdown vcenter, – use powercli to shutdown all esx’s and set in esx’s poweroff option to shutdown all machines…. Have you had time/opportunity to figure out how this script could be adjusted to even partially work when the vCenter server is a VM?? Or set things to shut down all VMs but vCenter and then go from there etc.?? Great script! There is indeed not that much information on automated full environment shutdowns out there. Has one of the priority-based scripts already found its way to the public somewhere? I am new to the vmware and powershell. I have just a small family server which is still very important for me. I am using Vmware esxi. It is now set so that when I manually shutdown the host, it waits till guests get shutdown. The order which system is starting first and shutting last is set in configuratin. As I understand the script, it shutdowns the guests first. Is there any possibility just to tell esxi to shutdown so that it uses it’s own configuration? It must be set from Windows machine and it needs to be set a reaction on some event. Scheduled task is running and when some conditions will occure I need the task to send shutdown. Is it even possible? 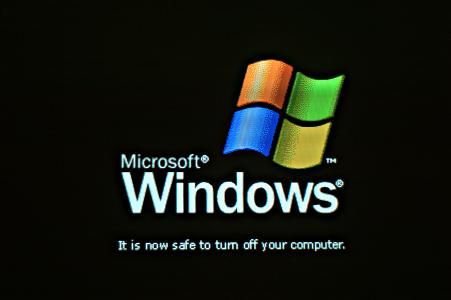 In response #2 it was discused to have a priority setting of some kind to have some VM’s shutdown before others. How would one do this, we want to make sure out DC’s go down last. I have tested your script and it works great other then this one item, thanks. I have been looking for something like this for a while, However I do not have vcentre and connect to my ESXi hosts directly. Unfortunately I have no PowerCLI experience. Can anyone offer any help as to how I would change this to talk to the ESXi hosts directly and not to Vcentre. That will be great, I’ll look forward for an update script. Good Idea, I didnt think of using custom fields like that, mind if I write the script as a follow up post ? Great post! I’m amazed at how little this topic is addressed in posts and articles. Improvements could come in a few forms. 1. It would be nice if there were a way to dry-run test it, so that you could do some validating without it kicking in. 2. In reality, there is a general order in which one would want vm’s to gracefully shut down. It’s no fun if your DC’s shut down first. As for your comment about vcenter not being a VM in order for this to work, I think there is another way. One would have their cluster of ESX hosts. Then, you have a cheap old PC with a few extra NIC’s, with ESXi built up, connected to the SAN as well, but only running one VM; the server running vcenter. That way you have the flexibility of it being a VM on the SAN, but living outside the cluster.